This 7-piece brush kit features a variety of natural hair brushes with shorter travel-sized handles, and is packaged in a stylish leather pouch which shuts with a magnetic clip. 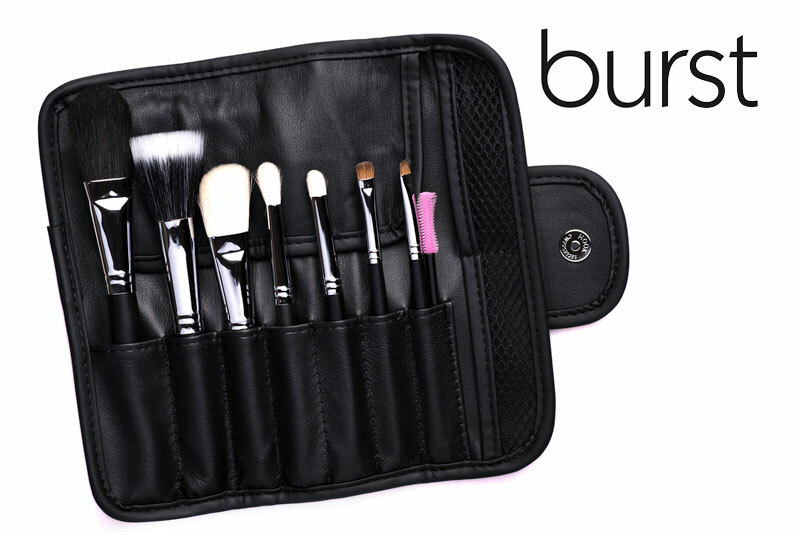 This is the perfect gift for a friend — or for your bridal party! 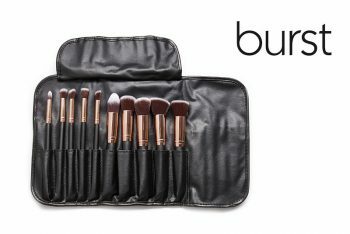 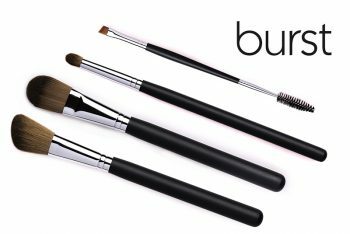 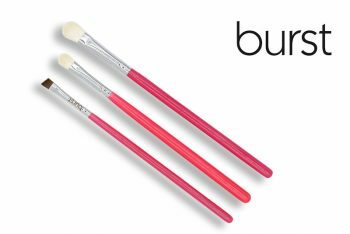 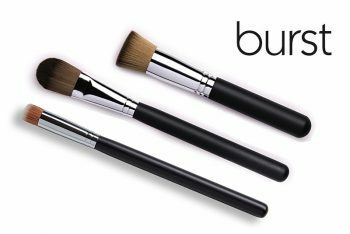 These brushes are included in this set: Medium Foundation Buffing Brush (FD 02) , Slanted Blusher Brush – White (BL 01), Rounded Blusher – Black (BL 04) ,Soft Blender (BB 01) , Dome Blender (BB 03) ,Small Dome Eyeshadow Brush (ES 04), Angled Brow (EB 01) and a free disposable silicone mascara wand.